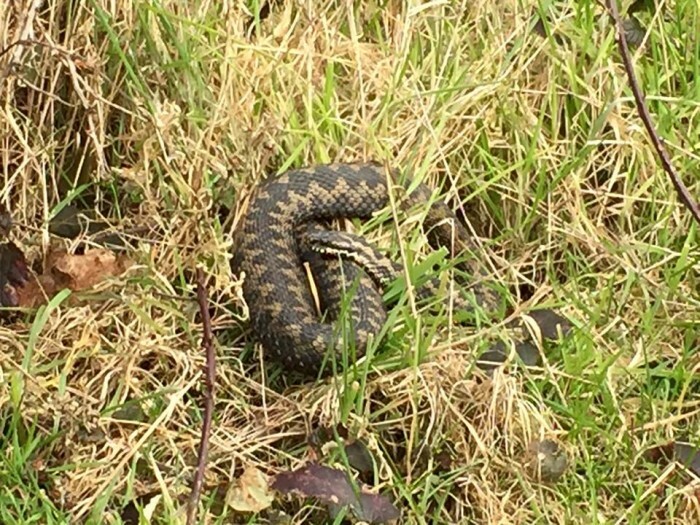 An adder was seen by Matt on the RSPB reserve at the end of February. We would advise everyone to be cautious around adders as they will be very sleepy as they emerge out of hibernation and will bite if disturbed. What happens if I think my dog has been bitten by an Adder? Most importantly, DO NOT PANIC! Your dog is highly likely to make a full recovery if treated promptly and correctly. It is important, where possible, to reduce the movement of your dog following a bite; ideally try carrying your dog or walking quietly back to your vehicle, as excessive movement and circulation can serve to spread the toxins. Adder bites result in local swelling that is often dark coloured and can become severe. You may see two small puncture wounds in the centre of the swelling. Bites most commonly occur on a dog’s legs or face. Your dog will show signs of pain and may appear nervous. Other signs include pale mucous membranes (gums), bruising, salivation/dribbling, vomiting, diarrhoea, dehydration, restlessness, drowsiness and lethargy. Eventually animals may collapse, have blood clotting problems, tremors or convulsions. Bites on or around the face can lead to swelling of the muzzle and result in breathing difficulties. Swift treatment will often lead a full recovery. At Arun Veterinary Group we stock viper venom which can be used to bind the enzymes within the venom thereby rendering them inactive and unable to cause damage. This anti-venom may be used in all cases but is especially recommended for potentially serious cases. It should be given as soon as possible for maximum benefit and will show a significant reduction in the degree and duration of the swelling present. What do I do if my dog has been bitten? Ring us to let us know what has happened and your estimated time of arrival at the surgery. It is a requirement that you must do this out of hours as a matter of course. 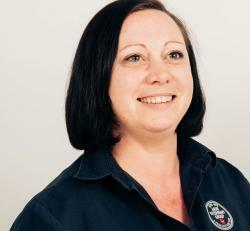 This enables us to be sure that we have a veterinary surgeon and nurse immediately available to attend to your dog and we have had time to prepare our treatments before you arrive. If a bite goes unnoticed but you suspect symptoms appearing later in the day you must ring us without delay, even if it is outside of normal opening hours. Remember we are on call 24/7. What happens if I am bitten? No one has died from an adder bite in Britain for over 20 years. With prompt and effective treatment, the worst effects are nausea and drowsiness, followed by severe swelling and bruising in the area of the bite. Most people who are bitten were handling the snake at the time. Treat adders with respect and leave them alone.